Some time ago - never mind how long precisely - having little or no money in my purse, and nothing particular to interest me in one place, I thought I would move about a little and see the Web part of the world. Whenever I find myself growing grim about the mouth; whenever it is a damp, drizzly November in my soul; whenever I find myself involuntarily pausing before Windows laptops on sale; then, I account it high time to take to the mobile Web with my iPhone as soon as I can. Little then did I know, or would have cared if I did, that my impulse would bring me to the very threshold of dark madness. I think I can see a little into the ads and marketing, which being cunningly presented to me under various disguises, induced me to set about performing the part I did, besides cajoling me into the delusion that it was a choice resulting from my own unbiased freewill and discriminating judgment. Chief among these motives was the overwhelming idea of the great smartphone itself. Such a portentous, revolutionary, and magical mystery roused all my curiosity. Then the wild and distant networks where it rolled its slender bulk; the undeliverable, nameless perils of the phone; these, with all the attending marvels of a thousand Internet sights and sounds, helped to sway me to my wish. With other men, perhaps, such things would not have been inducements; but as for me, I am tormented with an everlasting itch for things mobile and remote. In the wild conceits that swayed me to my purpose, there floated into my inmost soul, endless processions of the phone, and, mid most of them all, one grand hooded phantom, the white iPhone. My new found friend Queequeg, a harpooner of customers, was similarly minded. He left the choice of networks to me. You may have seen many a quaint network in your day, for aught I know; but take my word for it, you never saw such a rare old craft as this same rare old AT&T Wireless. She was a network of the old school, rather small if anything. Her ancient pathways were worn and wrinkled. It was there we met our captain, one Ajobs, by name. He appeared onstage, always clad in black pullover and blue jeans, his mien baleful and brooding. "Clap eye on Captain Ajobs, young man, and thou wilt find that he has only one thumb," whispered an old salt. "The other was devoured, chewed up, worn to a nub by the monstrousest smartphone display that ever surfed the Web!" So powerfully did the whole grim aspect of Ajob affect me, that for the first few moments I hardly noted that not a little of this overbearing grimness was owing to the barbaric aluminum thumb with which he stroked the touchscreen, each stroke scarring it. It had been fashioned from the polished metal casing of another phone. And he repeatedly and curtly refused ever to sheath it with a bumper. He called us nearer to him, and fixed his fierce eye upon us. I sensed that at last we would learn the true object of our mobility. "It's a white phone, I say," Ajobs declared. "A white iPhone 4. Skin your eyes for it, men; look sharp for white packaging; if ye see but a bubblewrap, sing out." All this while our customer harpooners, Tashtego, Daggoo, and Queequeg had looked on with even more intense interest and surprise than the rest. "Captain Ajobs," said Tashtego, "that white phone must be the same that some call iMoby." "Aye, Tashtego; aye, my hearties all round; it was iMoby that brought me to this dead stump I hold with now. Aye, aye," Ajobs shouted with a terrific, loud, animal sob, like that of a heart-stricken moose. "Aye, aye! it was that accursed white phone that made a poor pegthumbed CEO of me for ever and a day!" Then tossing both arms, with measureless imprecations he shouted out: "Aye, aye! And I'll chase it round Golden State, and round the PACRIM, and round the Foxconn manufacturing maelstrom, and round perdition's flames before I give it up. And this is what ye have shipped for, men! To chase that white phone on both sides of land, and over all sides of earth, till it spouts five bars and the faceplate shade matches the home button shade. What say ye, men, will ye splice hands on it, now? I think ye do look brave." "Aye, aye!" shouted the seamen, running closer to the excited old man: "A sharp eye for the white phone; a valid credit card for iMoby!" "God bless ye," he seemed to half sob and half shout. "God bless ye, men. Steward! go draw the great measure of grog!" I, iShmael, was one of that crew; my shouts had gone up with the rest; my oath had been welded with theirs; and stronger I shouted, and more did I hammer and clinch my oath, because of the dread in my soul. A wild, mystical, sympathetical feeling was in me; Ajob's quenchless feud seemed mine. And so we set out, searching ceaselessly, in suburban beer houses, at press conferences, corporate headquarters, gadget Web sites, Chinese container ships, anywhere rumor had it that iMoby lurked. How often we heard the gull-like cries from our lookouts, "There it beeps! There it beeps! White as a snowball! It is iMoby!" Each time, fired by the cry, the men rushed to behold the famous phone they had so long been pursuing. Each time, it was at best a moment's glimpse, and then it vanished. Had it been a mirage? Or the product of our own madness, now formed and fired by that of Ajobs? Slowly, as the days became weeks, and the weeks lengthened into months, and 2010 once so bright with promise became the winter of 2011, the magical fire that had sustained our search, weakened. The men grew silent, or louder, in their anger; others fell into a despond of utter blackness. Accusations flew and friendships withered or turned, poisonously, into hatred. Worst of all, were the desertions: some left for the shores of Android, others defiantly brandished BlackBerries as they parted; when three crewman took up with Windows Phone 7, there was a terrible low voiceless cry of something like despair. Through it all, Ajobs was implacable, unyielding; prone to rages as black as the great phone we hunted was white.And I only am escaped alone to tell thee. Ajobs now hunts alone. To this day, I hear him muttering "Why isn't there an app for that?" as his aluminum thumb scrapes and scars yet another touchscreen. The second day after I left, standing on the curb, with the sun beating on my face, lost and bereft, a bus drew near, nearer, and picked me up at last. It was the devious-cruising Microsoft, that in her retracing search after her missing mobile opportunity, only found another orphan. Any color iPhone 4 as long as its black…or white? Why not more choices? 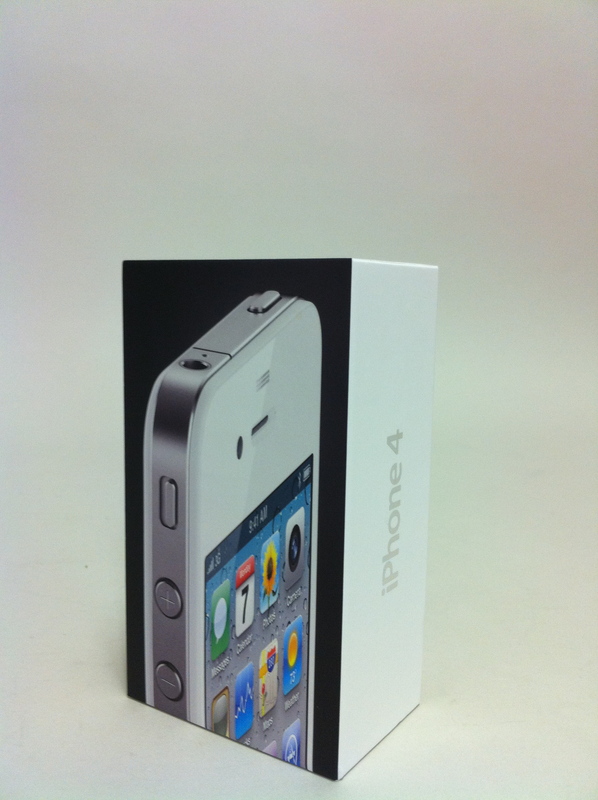 Follow the link and scroll down to the Official Network World iPhone 4 Color Preference Poll.